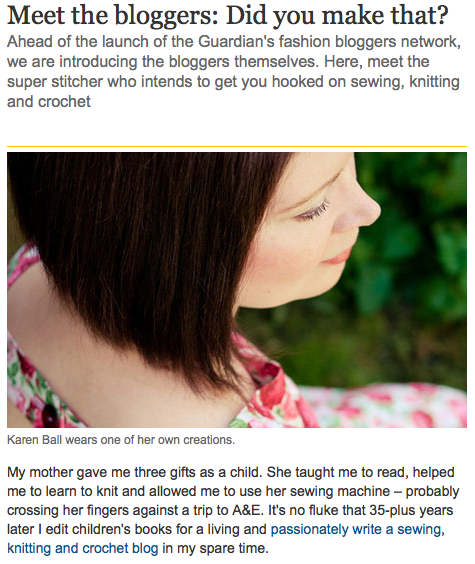 I'm excited to see that they're putting craft in the mainstream papers, plus I love her blog! I love that they'll put a sewing/knitting blog into the fashion sections. Goodness knows we have strong opinions about style!